Language:English, Trukese, Pohnpeian, Yapese, Kosraen. Area:Land 701 km². Freshwater NA km². Exclusive economic zone 2,780,000 km². Terrain: High mountainous islands to low coral atolls are found throughout the four island states (Kosrae, Pohnpei, Chuuk and Yap) with volcanic islands in the first three groups. Climate: Rainfall is heavy throughout the year and the area is frequented by typhoons. Climate is tropical year round. Geography: Four major island states with a total of 607 islands. Capital is on Pohnpei. Economy: Important industries include tourism, construction, fish processing, craft items from shell, wood and pearls. Export commodities include fish, bananas, garments and black pepper. Aquaculture was traditionally practiced throughout Micronesia. The potential for aquaculture development in Pohnpei state was investigated by the Economic Development Agency (EDA) and a five-year development plan (1981-1987) for marine resources was completed. Investigation into the farming of eucheuma seaweed around Pohnpei was recommended by an expert from Hawaii. In 1983, M. Doty who was instrumental in developing the seaweed industry in the Philippines headed the seaweed project. Sponge culture was carried out by Japanese in Pohnpei and Truk and proved commercially feasible. Reports of turtle culture in Pohnpei during the Japanese administration. 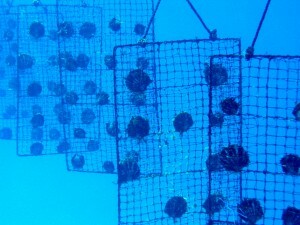 Also small-scale private turtle farms were in operation. In Yap turtles were raised as pets and later released once they had reached maturity. Milkfish (Chanos chanos) was stocked into a brackish water pond together with shrimp in Yap as part of the Yap Mariculture Programme. The intention of the farm was to supply baitfish for the longline industry. It was not successful due to cheaper imported baitfish and the decline of the longline industry at the time. Trochus was endemic to Yap. Trochus transplanted from Palau to Chuuk between 1927 and 1931 eventually led to the establishment of trochus in all four states and the first harvest was recorded in 1939. - Management of and investment in the marine resource base such as aquaculture development to "kick start" the waning economy. 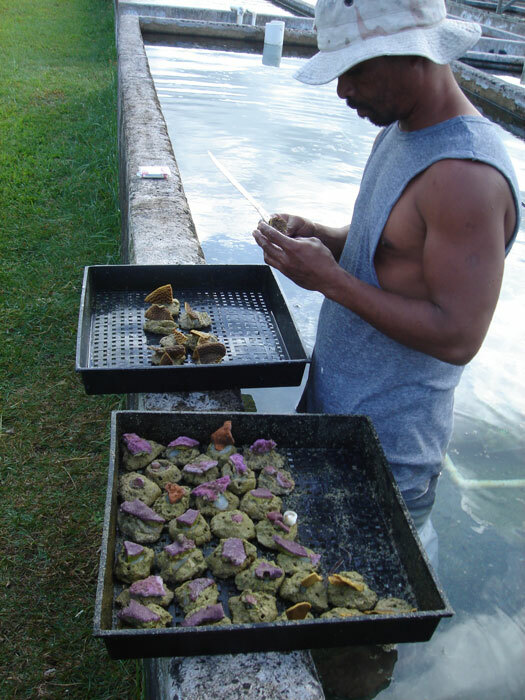 The office of Marine Resource Development of Pohnpei operates an aquaculture facility. Activities are limited to stock enhancement of giant clams and trochus shells, training and research. 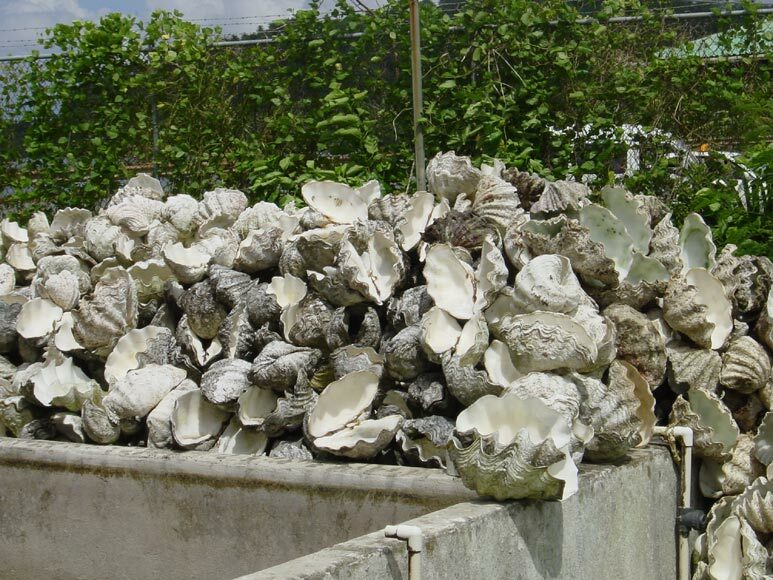 Pearl farms were established in the lagoon of Nukuoro Atoll with funds from the state government and external technical assistance. Farms are owned by the communities and managed by the municipal government of Nukuoro. Harvests from the pearl farms are intended for market trials in Hawaii.